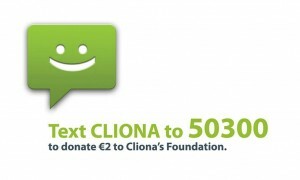 You may remember the very enterprising and talented young Tipp girl, Shannon, who we told you a few months ago was using her hobby to raise funds for Cliona’s Foundation. 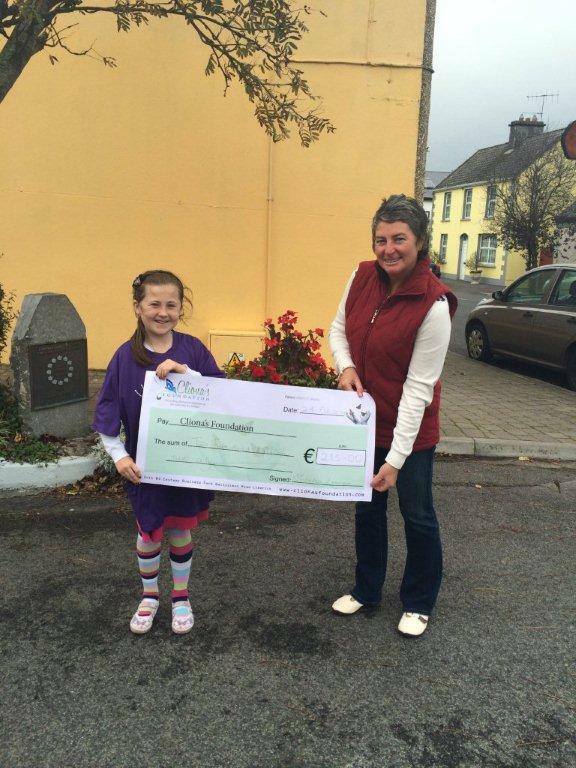 Shannon is 9 years of age and sold County coloured loom bands in the run up to the All- Ireland for €2! 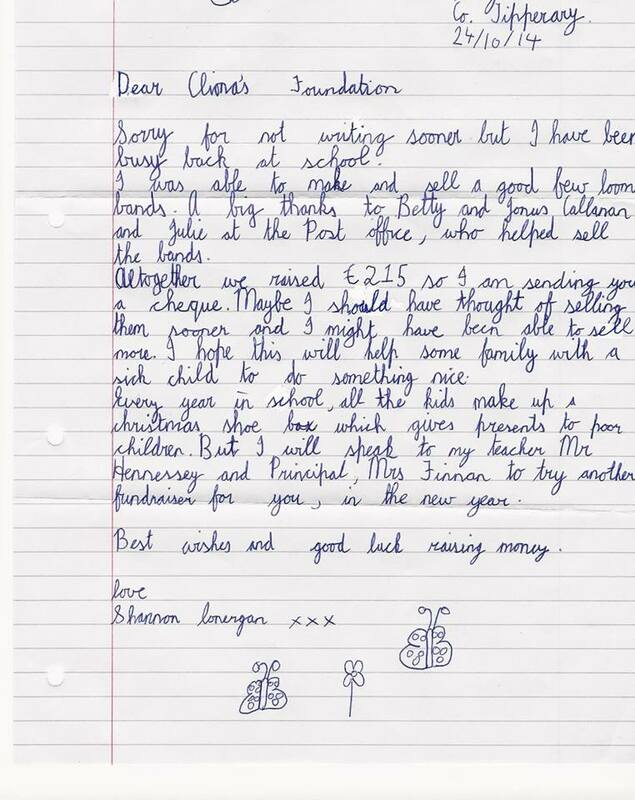 Shannon raised an amazing €215 for Cliona’s Foundation and wrote us another fantastic letter about her fundraising efforts.